Home / browser handling / selenium commands / selenium ide / selenium ide scripting example / selenium ide video tutorials / HOW TO USE GOBACK COMMAND IN SELENIUM IDE? HOW TO USE GOBACK COMMAND IN SELENIUM IDE? 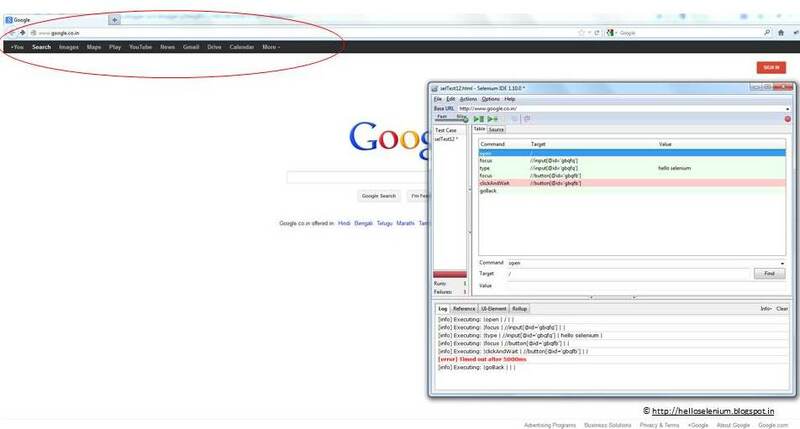 In the above script we are using goback command to redirect the browser on previous page. Read more about GOBACK COMMAND IN SELENIUM IDE.